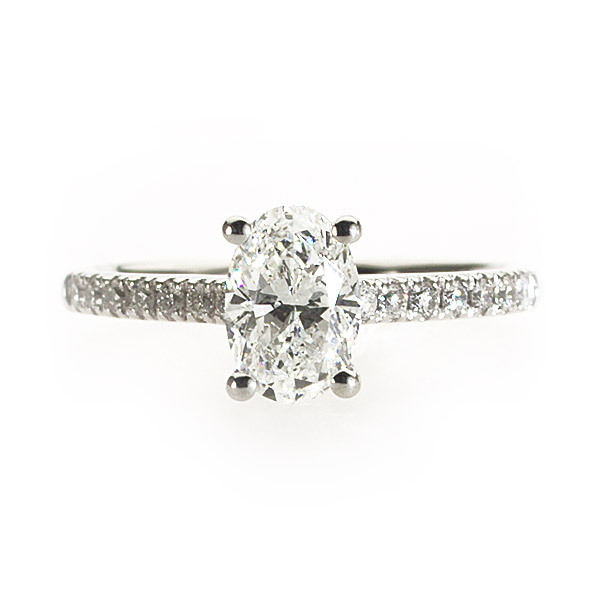 This glittering ring flaunts an elegant oval shaped diamond as its central feature. The rounded band holds brilliant diamonds flowing along the sides of the oval diamond to bring more drama to this gleaming ring. If you wish, you can alter this design to work with the diamond shape of your choosing and like all of my rings, this can be made for you in any diamond size, any finger size and any metal.